Impressive inside and out the Westwood A405 offers more than you’d expect for its size. The aft cabin layout gives masses of space, whilst the cat. B hull makes for practical sea use or comfortable river cruising. The signature aft platform on the Westwood A405 is both stunning and safe. Complimented by the panoramic transom window, the Westwood A405 is stunning from every angle. 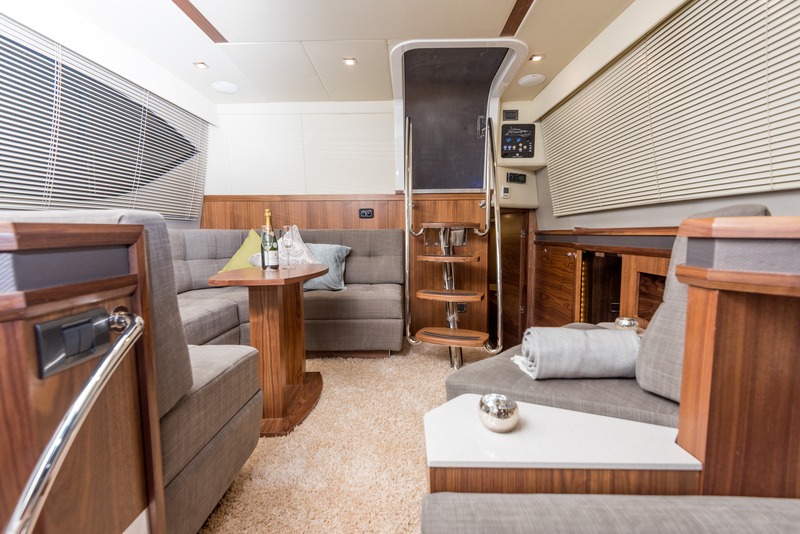 The standard dinette layout option offers 4 berths in 2 cabins, with occasional accommodation in the dinette, or optional layout with third cabin. The A405 has 2 interior packages, the “Vogue” edition with modern woods in high gloss and Italian leather or “Modern Classic” with warm tones of walnut and soft fabrics. So whether it’s contemporary or classic the choice is yours. Click here to see available to buy Westwood A405s. The Westwood A405 is an impressive blend of style, space and practicality. Our interior has been crafted to offer luxury and comfort. Let light fill the boat with the new bonded windows, saloon skylights and panoramic transom window. 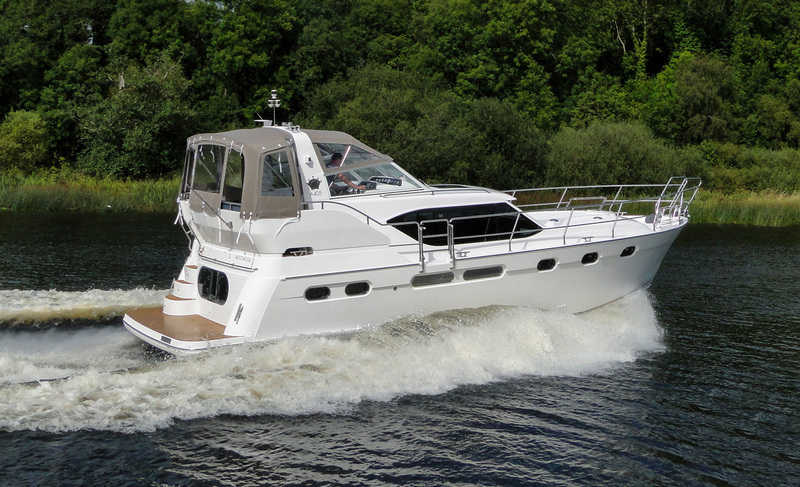 Enjoy your Westwood A405 all year with a 9Kw wet heating system, keeping you cosy on board whatever the weather. The comfort continues in the aft cockpit with 2 stylish yet practical helm seats which offer uninterrupted views. 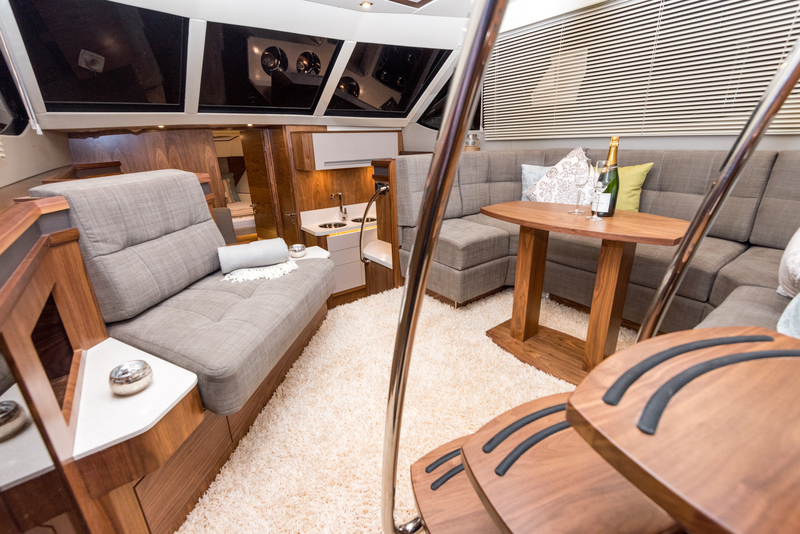 The cockpit is complete with large aft deck seating area as well as wetbar and central heating. So whether it’s inland or coastal, at anchor or in the harbour the A405 is a home away from home.